One hour before the main performance by the Artistic Director. Duration 25 mins – in the Carolan Suite at the NCH. Let’s get this straight. The pirates, who take pity on orphans, are really peers of the realm. The 21-year-old Frederic, who has sworn to put them behind bars, is really only five but in love with Mabel – the Major General’s daughter. And the policemen, whose lot is not a happy one, are really, really hopeless at foiling felons… but in the end, they all live happily every after. On the coast of Cornwall, a gang of pirates play and party as Frederic (a pirate apprentice) reminds the pirate king that his obligation to the gang is soon over. He was apprenticed to the pirates only until his twenty-first birthday, which is that day, and he is leaving them. Ruth (Frederic’s nursery maid when he was younger) explains that Frederic should never have been a pirate except for her mistake: She was told to apprentice Frederic to a pilot, but she misunderstood and placed him with a pirate instead. Frederic tells the pirates that, after he leaves the gang, he intends to destroy them, not because he doesn’t love them, but because he loathes what they do. He is a slave of duty and, when no longer a pirate, it will be his duty to destroy them. The pirates understand, and also complain that they cannot seem to make money. Because Frederic is a slave-of-duty to the pirates until noon, he tells them why: Because they are all orphans, the pirates will not rob another orphan; and since all their potential victims are aware of this, they all claim to be orphans! Because Frederic has spent his entire life with the pirates, he has never seen another woman; thus he thinks he may want to take Ruth with him as his wife. He asks Ruth if she is beautiful, and she responds that she is. Frederic, a very trusting young man, says that he believes Ruth and he will not let her age come between them. At this point, however, Frederic hears a chorus of girls in the vicinity. He sees a group of beautiful young women, realizes he was betrayed by Ruth, and rejects her. Frederic informs the girls that he is a pirate, but not for long. He asks if any of the girls will marry him, and the youngest, Mabel, agrees. The pirates enter the scene, and each grabs a girl. Major-General Stanley enters and identifies himself as the girls’ father, demanding to know what is taking place. When the pirates tell Major-General Stanley that they intend to marry his daughters, he objects, saying he has an aversion to having pirates for sons-in-law; the pirates respond that they are opposed to having major-generals as fathers-in-law, but that they will put aside the objection. Knowing about the pirates’ weakness, Major-General Stanley tells them he is an orphan and, thus, disarms the pirates and takes his daughters, along with Frederic, away to his family chapel and estate. The major-general, who actually is not an orphan, soon feels guilty about the lie he told the pirates. Frederic, however, has a plan to lead a squad of zany policemen against the his old gang. Before he can act, however, the pirate king and Ruth arrive to tell him that he is still obligated to the pirates. Because Frederic was born on February 29 — a leap year, he has served only five birthdays, not the twenty-one required by his contract. A strong sense of duty forces Frederic to relent, and, because he is a member of the pirate band again, to reveal the truth that Major-General Stanley is not an orphan. The pirate king vows that he will have revenge on the major-general. Mabel enters and begs Frederic not to go back to the pirates, but bound by duty, he leaves. The police ready their attack on the pirates, while the pirates creep in to take revenge on the major-general. The pirates defeat the police. However, when Ruth divulges that the pirates are really noblemen and they swear their allegiance to the queen, the tables are turned–and the police take the pirates prisoner. However, because the pirates have never really hurt anyone, they are soon forgiven. The ex-pirates win the girls, Frederic wins Mabel, and everyone lives happily ever after. Tony, a graduate from The Guildford School of Acting and Dance, is lucky enough to able to split his time between acting and directing in equal measure and considers himself fortunate to work in some of the loveliest theatre venues. These include The National Concert Hall (Dublin), The Gaiety Theatre (Dublin and The Isle of Man), Landskrona Theatre (Sweden), The Waterfront Theatre, (Belfast) and Opera Houses in Belfast, National Opera House,Wexford and the opera House, Buxton. 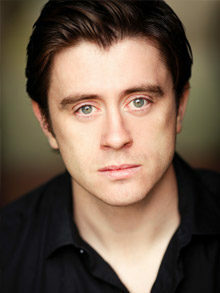 In November 2017 he made his debut in Ireland’s National Theatre – The Abbey – directing FLYNN – a world premiere – in The Peacock Theatre. Last year he directed (and starred in) Annie in The National Concert Hall, Dublin. His next acting role will be The Lion In Festival Productions’ Christmas show The Wizard of Oz here in The National Concert Hall. Amongst the shows in 2019 that Tony will direct are Spamalot on the Isle of Man and Urinetown in Rush, Co. Dublin. Delighted to return to Lyric Opera, Mezzo-Soprano Imelda Drumm graduated in business from D.C.U. prior to commencing her international singing career. She was spotted by Glyndebourne Opera in her early twenties; Glyndebourne fostered her talent, supporting her at the National Opera Studio, London. A stellar career as principal artist followed. Imelda enjoyed 15 years at Welsh National Opera. Returning home she embarked on advanced studies, receiving her Doctor in Music Performance from the RIAM in 2017. Recordings include, Falstaff S4C TV, Hansel Channel 4 TV, and Jenůfa, with Sir Charles Makerras. Imelda continues to perform regularly. She is a vocal lecturer at the RIAM. Future performances include Amneris Aida, Bord Gais, Nov/ Dec with INO. Trained at FACT Theatre School, The Royal Irish Academy of Music and The Abbey School of Music and Drama. Brian has performed many leading roles both at home and abroad which include Tommy Gilroy Jimmys Hall (Abbey Theatre Dublin), Giuseppe Zangarra Assassins (The Gate Theatre), Stock Jock Eugenius (The Other Palace), Frederic – Pirates of Penzance (Festival Productions – NCH), Mad Magician Bananaman (Southwark Playhouse), Lead role of Guy Once (Olympia Theatre, Dublin), Marco The Gondoliers (Festival Productions –Buxton Opera House), Deco and Billy The Commitments (West End & UK & Ireland Tour), Cornelius Dr Faustus (Duke of Yorks Theatre), Bruno Piaf (Charing Cross Theatre), Perchik Fiddler on the Roof (Gaiety Theatre), Man 1 Songs for a New World (Muse Theatre Company), Robinson Crusoe Robinson Crusoe and the Caribbean Pirates (Gaiety Theatre), Boy 4 Anglo the Musical (Olympia), Michael Collins a Musical Drama (Tivoli). 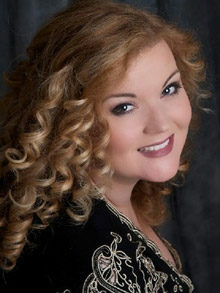 Dublin Soprano Rachel Croash was a finalist in the 9th Festspiele Immling International Singing Competition and was subsequently invited to perform Amore in Gluck’s Orfeo ed Euridice as well as Gilda in selected scenes of Rigoletto in the Festival’s Verdi Gala in 2017. 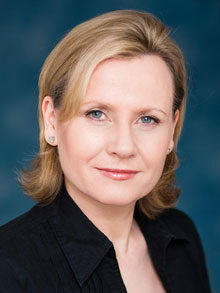 Other roles include Valencienne The Merry Widow (Lyric Opera Productions), Elvira L’Italiana in Algeri (Blackwater Valley Opera Festival), Mademoiselle Silberklang Der Schauspieldirektor (Irish National Opera), Una Eithne (Opera Theatre Company), Mrs.Coyle Owen Wingrave (Opera Collective Ireland), Fiordiligi Così fan tutte (Lismore Opera Festival), Susanna Susanna’s Secret (Opera Theatre Company), Serafina Il Campanello, Reneé Koanga, Dew Fairy Hänsel and Gretel, Annina La Traviata (Wexford Festival Opera) , Frasquita Carmen (RTÉ Concert Orchestra; Cork Operatic Society). is an Australian Bass-Baritone who recently moved back to Ireland. He is reprising the role of The Pirate King, which has previously won him ‘Best Male Performer’ at the International Gilbert and Sullivan Festival, Buxton. Other roles include Sarastro The Magic Flute, Salieri in the Irish Premiere of Mozart and Salieri, Valens Theodora, Schaunard La Bohème, Masetto Don Giovanni, Strephon Iolanthe, Simone Gianni Schicchi, Un Arbre L’enfant et les Sortileges, Bluff The Impresario, The Lion Pyramis and Thisbe, Frank Die Fledermaus as well as creating the roles of Alexander Kommilitonen by Sir Peter Maxwell Davies and the Earl of Kildare from the opera of the same name. He has sung roles at houses all over the world including Covent Garden and Glyndebourne with singers such as Joyce Di Donato, Alice Coote and Natalie Manfrino. 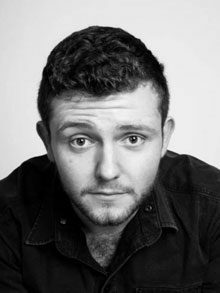 Matthew Mannion, Baritone, is a final year undergraduate in the Royal Irish Academy of Music studying with Owen Gilhooly and Dr. Dearbhla Collins. 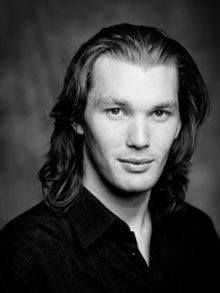 He has recently performed with Irish National Opera Orfeo ed Euridice and premiered the role of Liam BackStage in the Cork Midsummer Festival. 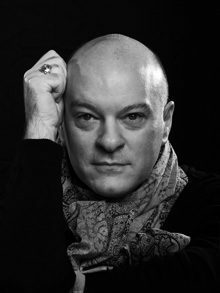 He has also sung roles such as Scipio, Scipio’s Dream (RIAM), Guglielmo Cosi fan tutte (Flat Pack Music), Marchese La Traviata, Morales Carmen and Imperial Commissioner Madama Butterfly (Lyric Opera) and (Bowdon Opera Festival), Masetto Don Giovanni (Opera Britain), Bartolo Le Nozze di Figaro (DIT), Second Elder Susanna (DIT) (Yorke Trust), Angelotti Tosca (Bowdon Festival Opera), Kromov The Merry Widow (Lyric Opera), and Uncle Yakuside Madama Butterfly (RTE). 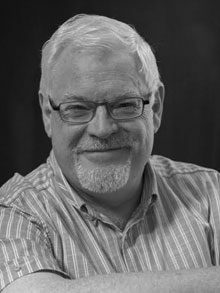 Wilson is based in Belfast and is currently musical director for Belvoir Players Studio Theatre, New Lyric Operatic Company, Lisnagarvey Operatic, Belfast Music and Drama Society and the Ulster Operatic Company. Next year he continues his association with Douglas Choral Union in the Gaiety Theatre on Isle of Man. Wilson has conducted the N Ireland premieres of Mack and Mabel, Camelot, Witches of Eastwick, Copacabana, Chess, West Side Story, Legally Blonde, Sweeney Todd, Avenue Q and White Christmas – most of them at the Grand Opera House, Belfast. He has appeared at both Waterford International Light Opera Festival and the Gilbert and Sullivan International Festival in Buxton winning amongst numerous awards best show The Pirates of Penzance. Future projects this season include 25th Annual Putman County Spelling Bee, The Sound of Music, Annie, Footloose, Oklahoma! and Spamalot. He has also collaborated on a new musical Twisted -a sequel to Oliver Twist- which will premiere next February. 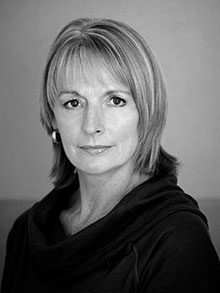 Returning from abroad having worked in most of the opera companies in the UK, Vivian Coates has spent much of his career in Ireland nurturing and presenting young Irish talent on stage and guiding them on their first professional rung of the ladder. He is recognised for the tireless work he has done in keeping core opera alive in this city. 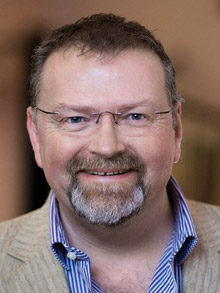 He is privileged to be able to mix his opera productions with his love for musical theatre directing and designing in most of the main theatres in Ireland which include The Gaiety Theatre, Dublin, The Grand Opera House, Belfast, The National Opera House, Wexford and the National Concert Hall, Dublin. Opera productions include Aida, Il Trovatore, Don Giovanni, Hansel und Gretel, I Due Foscari, La Traviata, Carmen, Nabucco, Macbeth, La Bohéme. Turandot, Suor Angelica, The Turn of the Screw, Rusalka, Cavalleria rusticana, Madama Butterfly, Attila and many others. With many musical theatre projects in his repertoire, Mr Coates has received extraordinary accolades for his recent work with The International Gilbert and Sullivan Festival in Harrogate receiving five star reviews (The Stage & The Daily Mail) for three of his productions. In 2015 he designed two sets for The Music of Northern Ireland, which received 4 EMMY’S in the 2016 roll of honour. In 2007 he was honoured to receive a Knighthood and title of Cavaliere by the Italian Government for his work in presenting Italian opera in Ireland. Recent productions include Sweeney Todd (The National Opera House). This Christmas he will direct the family favourite The Wizard of Oz here at the NCH.